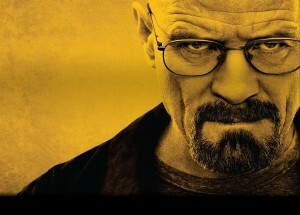 I loved watching Breaking Bad. While it was an obviously compelling show in of itself, a big part of the fun was discussing what happened on Sunday night and Monday morning . I would call friends, chat at the water cooler, and scour online for thoughts on what occurred, what it means and what might come next. The same goes for Health and Fitness. Find outlets to discuss your workouts and diet with. Collaborating with others is a great way to “stir the pot” and uncover new ideas and plans, find motivation, or even further shape your own thoughts. It can be deeply rewarding to find other people who are enthusiastic on the subject. I wonder if he has tried interval training? Talk to Friends, Family and Co-Workers– Many of your friends and family are active and have nutrition tips and tricks. All you have to do is ask! Mine the golden information all around you to increase your knowledge, or help those hiding in the desolate blackness of ignorance find the light. Join a Running Group– What better way to find people who are excited to talk about health and fitness then to join a running group. One of our personal favorites is Moms In Motion, a group for Moms to get out, exercise, and give back to the community. Find a Moms In Motion group today! Find Your Favorite Fitness Site– The internet is a virtual cornucopia of knowledge, especially when it comes to fitness. Find a few sites or authors you really like, and check back a few times a week to find new articles and tips. Write in to the site if you have questions. Share Your Workouts– If you track workouts with a Fitdigits app, share your workouts. Fitdigits allows you to share workouts by Email, Facebook, Twitter, various health and fitness sites and more! Tag a friend in a Facebook post, and see if they can beat your best run. Create a Fitdigits Group– If you upgrade to Fitdigits MVP you have the ability to create groups with fellow fitness fanatics. These groups allow you to view each others workouts, have a group leaderboard, share blog posts and link to a Facebook group. Keep in touch with workout wizards around the world. Be Social at the Gym– Working out on the gym can sometimes feel like you are exercising on an island. Everyone has headphones in, is sweating, and generally look like they do not want to be bothered. I have found that nothing can be farther from the truth. Everyone is proud of the knowledge they have built through years of experimentation with exercise and nutrition, and you will find that if you ask those around you questions they will be more than happy to respond. Next thing you know, the gym feels like Cheers and everyone knows your name! Online Forums– Many health and fitness websites have interactive forums to discuss anything and everything health and fitness related. MyFitnessPal has a great forum. Take a Spinning Class– Great music, great instructors, a great workout. Join a Spinning class at your local gym and find people who live in your neighborhood who share a similar passion for smashing calories. Talk to Fitdigits– We love to hear from our users! Whether you want to share a success story, talk training routines or have nutrition questions, contact us! We are not necessarily “experts”, but we are passionate about getting fit and staying healthy, and we workout regularly. 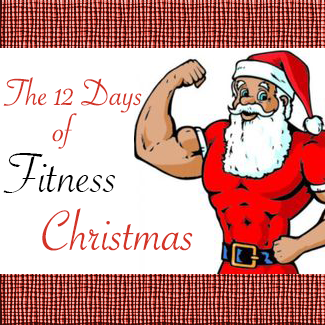 This entry was posted in Interesting Reads, Training and tagged Christmas, fitness, forum, groups, nutrition, social, talk, training, workout by Brandon Keller. Bookmark the permalink.